This is Peter Gurski, designer and set decorator. 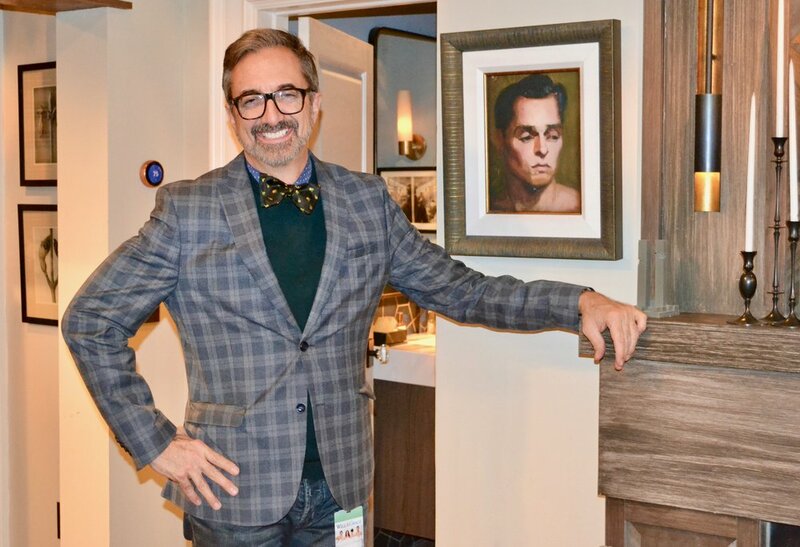 He is the creative force behind the look and feel of Will & Grace. Peter is a multifaceted creative meaning he is also an interior designer and has held multiple other roles within the art department including production designer and art director. But this is special for me and I hope you enjoy this conversation with Peter. He invited me to the Universal City Studios to walk the set, and talk a little bit. We talked a lot about the business, his role and vision for the reboot of an immensely popular show with extremely vocal fans. Peter talks about the show and more specifically, the characters who you got to know between 1998 and 2006, now reintroduced in 2017 and guess what, they have changed, just like you and me. Peter and his team imagined their personality and life development but also incorporated who they were to deliver the same characters 10 years later. Brilliant. Peter captured the past work of set decorator Melinda Ritz who worked on the first 10 seasons and moved from there. We walked and talked and you can see images from the set on social media and make sure to check out the YouTube channel for a video from our time together. If you like this episode of the podcast, and I hope that you do. Why not subscribe to the show? It’s easy, fast and You can find Convo By Design wherever you download your favorite podcasts.